Airtel Payment Bank said that its customers can now make card-less cash withdrawals at over 100,000 ATMs across India. 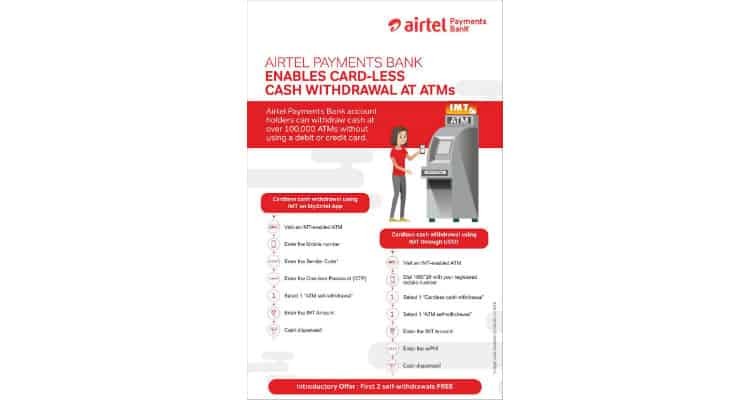 Airtel Payments Bank enables card-less cash withdrawal at ATMs 0 out of 5 based on 0 ratings. 0 user reviews.